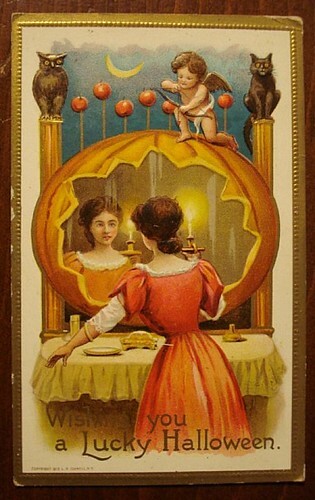 Both the Vintage Powder Room blog and Facebook page use an image of a woman gazing into a mirror as the profile graphic. 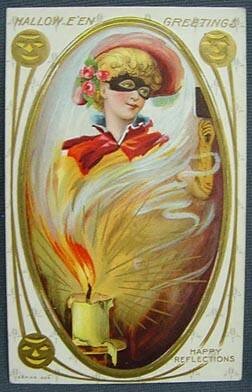 The image for this blog is a detail from a hairnet package in my collection. The image for VPR’s Facebook page is of the actress Ann Sheridan gazing into a mirror. 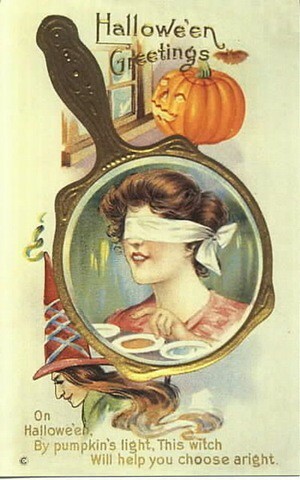 How fitting it is that there is a Halloween tradition that relies on a woman looking into a mirror. 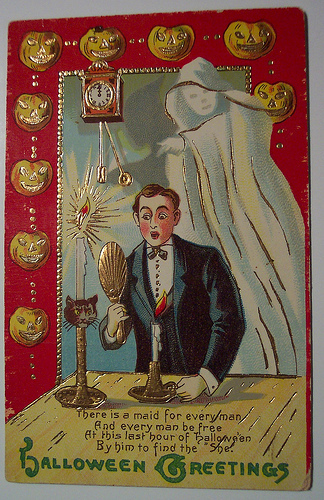 The tradition, a form of divination, was popular during the late 19th and early 20th centuries. 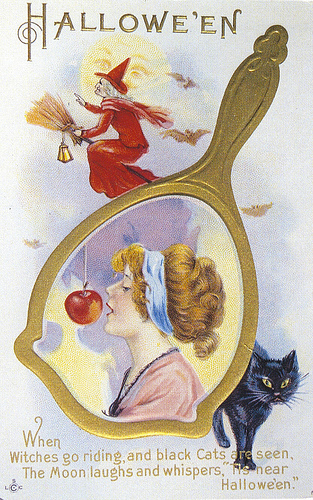 It was said that if a young, unmarried woman looked into a mirror at midnight on Halloween, she would see her one true love. I’m posting a few of the images here for your viewing pleasure. 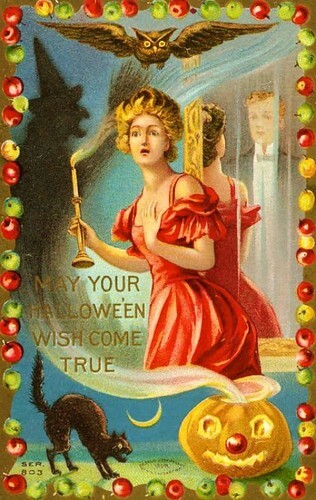 And may your Halloween be lucky! Unsure of your choice? 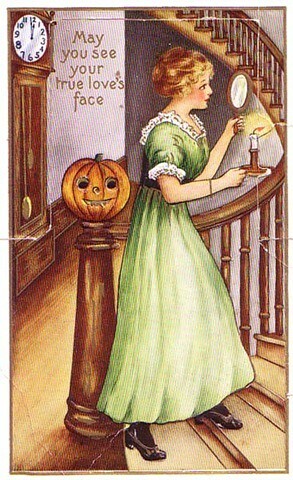 Let the witch help you. May you see your true love’s face. Why should the ladies have all of the fun? Here’s something for the gentlemen.